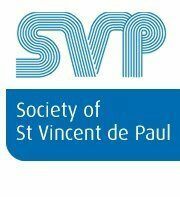 The Irish government’s abandonment of public social housing needs to be reversed, says the Society of St Vincent de Paul (SVP). Marcella Stakem from SVP said not only is the policy causing misery to hundreds of families, the reliance on the private sector is in stark contrast to the ideals and actions of the founders of Ireland’s main political parties. Ms Stakem said that up until the 1950s, social housing provided the majority of new dwellings in the state and nearly one in five Irish people lived in social housing in the early 1960s. She said that over the last three decades the provision of social housing had shifted from direct build by local authorities to being predominantly provided by the private market through private rental or purchase from the private market, alongside an increased role for Approved Housing Bodies (AHBs). Government funding for new social housing provision fell by 88.4 per cent between 2008 and 2014 and, as a result, output of social houses declined by 91.5 per cent. Following the 2008 global financial crisis and the Irish government’s decision to bail out the mainly foreign bond holders, austerity measures were introduced that hit the most vulnerable in Irish society. Government cuts intensified the decline in social house building – the Department of Environment suffered the second highest budget reductions between 2008 and 2012. In the absence of new public housing, those who cannot afford to buy must turn to the private rented sector and those who are on low incomes rely on the Housing Assistance Payment (HAP) from the state, but increasingly often the HAP does not cover the actual cost of rented accommodation. “With rents at record high levels, many families are paying a top-up just to remain in their homes,” said Ms Stakem. She pointed out that government spending on subsidising private rental accommodation through the Housing Assistance Payment and through the Rent Supplement has increased by nearly 50 per cent in the space of three years, rising from €327m in 2015 to €481m in 2018. She said that a social housing policy that relies so heavily on the private rented sector “can never be the answer to the scale of the housing problem”. Writing on the SVP’s online blog, Ms Stakem said that this year, as part of its advocacy work, the society, which is Ireland’s largest charity, is recommending that “the government strategy to meet almost 70 per cent of social housing need through the private rental sector needs to be reversed”. Last year, at a cost of €1.25bn, the government established the Land Development Agency (LDA) to build 150,000 new homes over the next 20 years. The SVP is recommending that the number of social housing units to be delivered under the LDA be increased by 10 per cent. In the meantime, the society wants the government to review limits for rent supplement and Housing Assistance Payments “to ensure alignment with market rent as a homelessness prevention measure and to protect tenants from having to make unsustainable top-ups”.